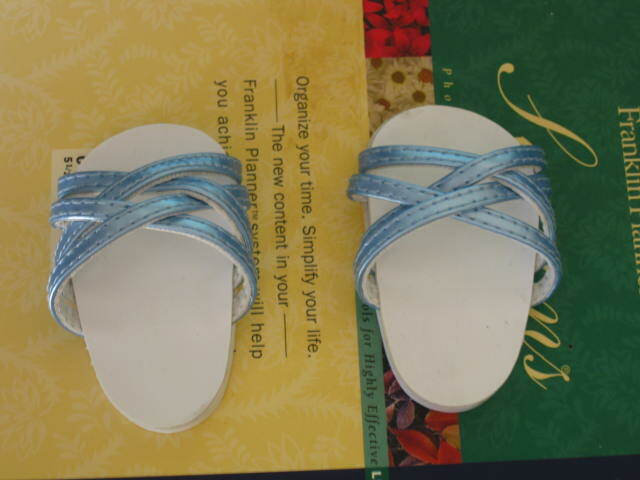 I was given a pair of sandals from American Girl that were in pretty bad condition. 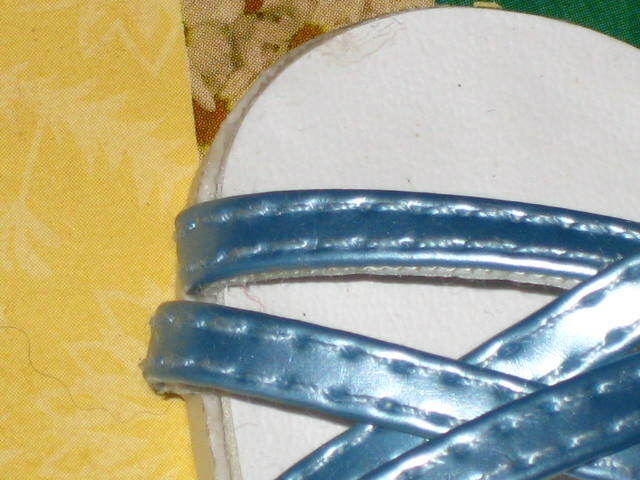 One sandal was coming apart, and the other practically had been reduced to pieces. 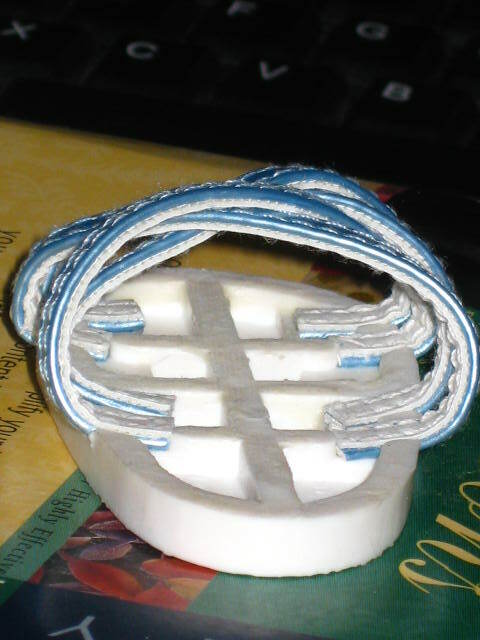 I forgot to take a starting picture, but I did take one after re-constructing the straps. 1. I really hate the way super glue feels on my fingers. Oh well, at least they are usable now... I'll take a picture of them on Serra with her new outfit after I'm positive that they are 100% not-going-to-stick-to-her-feet dry.